Transport for the North (TfN) is the first statutory sub-national transport body in the United Kingdom. It was formed in 2018 to make the case for strategic transport improvements across the North of England. TfN brings together the North's twenty local transport authorities and business leaders together with Network Rail, Highways England, and HS2 Ltd and works with Central Government. The organisation has offices in Manchester and Leeds. TfN is partnership of public and private sector representatives working with central government and national transport bodies to develop and deliver strategic transport infrastructure across the North of England. Through the Cities and Local Government Devolution Act 2016, a statutory instrument was laid before Parliament in November 2017. Following Parliamentary approval, TfN's functions have been enshrined in legislation and came in to force in April 2018. TfN is a Statutory Partner to the Department for Transport, Highways England, and Network Rail to ensure that the North's pan-Northern strategic transport priorities are developed and delivered. In January 2018, legislation was approved in the House of Commons to establish TfN as the first sub-national transport body in England. The legislation was approved following consent from 56 local authorities in the North. The statutory body came in to force on 1 April 2018. Producing a statutory transport strategy, which the Government of the time must formally consider in the decision making process. Funding organisations to deliver transport projects. Working with local transport authorities to fund, promote and deliver road schemes. Be consulted on all rail franchises that provide services in the North. Take forward smart ticketing on public transport. The functions of Rail North, an existing association of local authorities, are now the responsibility of TfN, which include currently co-managing with the Department for Transport the Arriva Rail North and TransPennine Express rail franchises with the Government. Northern Powerhouse Rail - a £39 billion major strategic rail programme, transforming connectivity between the key economic centres of the North, including Manchester, Leeds, Sheffield, Hull, Newcastle and Liverpool – and the North's largest international airport, Manchester Airport. TfN's analysis suggests that it could increase the number of people within one hour of four of the largest cities in the North from less than 10,000 to 1.3 million. TfN have also stated that Northern Powerhouse Rail could bring Manchester Airport within 90 minutes reach of 3 million more people. The Strategic Outline Business Case has been submitted to Government, with further investment decisions likely to be made in the Comprehensive Spending Review. An additional £37 million of funding has been confirmed for 2019/20. Long Term Rail Strategy - TfN has sets out an ambitious vision to transform the North's railway network with new major investment projects and services. Currently rail is only 1.1% share of total trips in the North, and currently rail passengers are three times higher than 20 years ago, growth of 6.3% per year, while capacity has only increased by an average of 6.45% over the same period. Grizebeck Bypass, near Barrow in Furness. Trans Pennine Tunnel Strategic Study - providing significantly improved road connectivity between Greater Manchester and Sheffield City Region. The draft Strategic Transport Plan has stated that a long tunnel under the Peak District National Park is technically feasible, but the cost would be substantial and offer poor value for money. TfN have now set out that they are developing alternative options that will be more cost-effective. TfN suggest that the most promising alternative is a partially tunnelled route on the A628, with wider road enhancements, including on the M60, M67 and M1. Northern Trans Pennine Routes Study - developing the case for improving the A66 between the A1 at Scotch Corner and the M6 at Penrith, including improvements to the A69 between Newcastle and Carlisle. Manchester North West Quadrant Strategic Study - Exploring options for significant improvements to sections of the M60, M62, M602, M61 and M66. Central Pennines Study - The Department for Transport announced in March 2019 that TfN will be working with Highways England to look at major improvements to road connections between the M65 in East Lancashire across to Yorkshire. Integrated and Smart Travel - a smart ticketing programme to allow seamless travel on public transport across the North. It is proposed that emerging technologies will allow modern payment methods and mobile travel information on all public transport in the North. Paying for journeys will become quicker, easier and more convenient. TfN is delivering a £150 million government funded programme. Phase One - Smartcards on rail - as part of a national programme for smart ticketing on all rail travel. Phase Two - Customer information, collaboration and innovation - open data and disruption information for rail and bus passengers to support single and multi-mode journeys. Phase Three - Account-based travel - allowing passengers to make contactless bank card payments with a 'fair price promise' with a capping of fares on all modes of public transport. Strategic Development Corridors - identifying transport infrastructure improvements in economic growth areas, where evidence suggests investment in transport infrastructure will enable transformational economic growth. TfN have also stated that these Corridors will prioritise and sequence transport projects that will transform economic growth, promote cost effectiveness of all modes of transport, explore digital technologies, explore a more efficient use of existing networks and provide capacity to meet the future economic demand, and protect the environment. TfN's Investment Programme states that it is seeking to increase investment in strategic transport investment over and above the level. TfN’s current estimate of interventions it is promoting could cost between £60 - 70 billion over the next 30 years. This would consist of additional capital expenditure, over and above the existing investment, of £21-27 billion over the next 30 years (£700 - £900 million per year / £150 per person per year). ^ "Transport for the North set to take up statutory powers - The Transport Network". www.transport-network.co.uk. Retrieved 2018-10-07. ^ "£260M for Northern statutory transport body". New Civil Engineer. Retrieved 2018-10-07. ^ "Transport for the North | TfN". Transport for the North. Retrieved 2019-04-07. ^ Walker, Andy (28 October 2016). "Transport for the North applies for devolved powers". Infrastructure Intelligence. Retrieved 14 March 2017. ^ "North set to become first region in country to get new transport powers from government - GOV.UK". www.gov.uk. Retrieved 2017-11-19. ^ "North set to become first region in country to get new transport powers from government". GOV.UK. Retrieved 2018-10-07. ^ "The Sub-national Transport Body (Transport for the North) Regulations 2017". www.legislation.gov.uk. Retrieved 2018-01-20. ^ "One North | Strategic Transport Plan". Transport for the North. Retrieved 2019-04-07. ^ "Cities and Local Government Devolution Act 2016". www.legislation.gov.uk. Retrieved 2019-04-07. ^ Cox, Charlotte (2017-11-16). "Northern leaders to finally have major say on roads, rail and ticketing". men. Retrieved 2018-01-20. ^ "Transport for the North to become the first Sub-national Transport Body in England - Transport for the North". Transport for the North. 18 January 2018. Retrieved 20 January 2018. ^ "Doubts over northern transport plan funding". BBC News. 2018. Retrieved 2018-01-20. ^ UK, DVV Media. "Strategic Transport Plan for northern England published". Railway Gazette. Retrieved 2018-01-20. ^ "Armitt welcomes ambitious plans for transport in the North - National Infrastructure Commission". National Infrastructure Commission. Retrieved 2018-10-07. ^ "Ipsos MORI Surveys". www.ipsos.uk. Retrieved 20 January 2018. 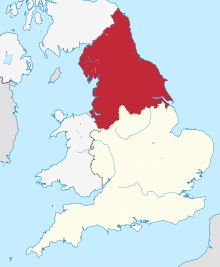 ^ "£70 billion blueprint to transform the North's economy | One North". Transport for the North. 2019-01-31. Retrieved 2019-04-07. ^ "SQW :: Northern Powerhouse Independent Economic Review". www.sqw.co.uk. Retrieved 2018-01-20. ^ "TfN Strategic Transport Plan" (PDF). ^ "Northern Powerhouse Rail | Transport for the North". Transport for the North. Retrieved 2017-11-19. ^ "Northern leaders unite to back plans to revolutionise the North's railway". Transport for the North. 2019-02-07. Retrieved 2019-04-07. ^ "Proposal to invest up to £39bn on Northern Powerhouse Rail to be submitted to Government". Bradford Telegraph and Argus. Retrieved 2019-04-07. ^ Pidd, Helen (2018-01-16). "Four cities, 1 hour, 1.3m people: new northern rail plan revealed". the Guardian. Retrieved 2018-01-20. ^ Pidd, Helen (2018-01-16). "Four cities, 1 hour, 1.3m people: new northern rail plan revealed". the Guardian. Retrieved 2018-10-07. ^ "Northern Powerhouse Rail | Transport for the North". Transport for the North. Retrieved 2018-10-07. ^ "Draft Strategic Transport Plan - January 2018" (PDF). ^ RAILNEWS. "Emerging vision for Northern Powerhouse rail unveiled | Railnews | Today's news for Tomorrow's railway". www.railnews.co.uk. Retrieved 2018-01-20. ^ "Transport plan reveals Northern Powerhouse Rail proposals". New Civil Engineer. Retrieved 2018-01-20. ^ correspondent, Nazia Parveen North of England (2019-01-31). "Plan to transform transport across north of England unveiled". The Guardian. ISSN 0261-3077. Retrieved 2019-04-07. ^ "'Emerging vision' for Northern Powerhouse rail network includes Warrington on new line". Warrington Guardian. Retrieved 2018-01-20. ^ "NPR At A Glance" (PDF). ^ "Draft Strategic Transport Plan - January 2018" (PDF). www.transportforthenorth.com/stp. ^ "TfN Business Plan 2019/20" (PDF). ^ "Northern Powerhouse Rail plan handed in to government 'is biggest scheme for North since Industrial Revolution'". www.yorkshirepost.co.uk. Retrieved 2019-04-07. ^ "Strategic Rail | Transport for the North | Rail North". Transport for the North. Retrieved 2018-10-07. ^ "Latest news | Northern | Northern - Northern". www.northernrailway.co.uk. Retrieved 2018-10-07. ^ "New £500m Northern train fleet unveiled - Transport for the North". Transport for the North. 2018-10-05. Retrieved 2018-10-07. ^ "Major Roads | Transport the North". Transport for the North. Retrieved 2018-10-07. ^ "Grayling unveils major road schemes and gives a pothole teaser - The Transport Network". www.transport-network.co.uk. Retrieved 2018-10-07. ^ Cox, Charlotte (2018-01-16). "The 30 year plan to transform transport in the north of England". men. Retrieved 2018-01-20. ^ "New trans-Pennine roads study announced". GOV.UK. Retrieved 2019-04-07. ^ Ibbetson, Connor. "Green light for trans-Pennine roads upgrade study". New Civil Engineer. Retrieved 2019-04-07. ^ "Integrated and Smart Travel | Transport for the North". Transport for the North. Retrieved 2017-09-03. ^ "Integrated and Smart Travel | Transport for the North". Transport for the North. Retrieved 2018-10-07. ^ "Strategic Transport Plan Evidence - Transport for the North". Transport for the North. Retrieved 2017-09-03. ^ "Strategic Development Corridors | Transport for the North". Transport for the North. Retrieved 2017-11-19. ^ "Transport for the North unveils £70bn plan for the next 30 years". Infrastructure Intelligence. Retrieved 2019-04-07. ^ Smale, Katherine. "Transport for the North reveals £70bn plan to overhaul roads and rail". New Civil Engineer. Retrieved 2019-04-07. ^ "Subscribe to read". Financial Times. Retrieved 2019-04-07. ^ "TfN Investment Programme" (PDF).